Robin, Shorty and I recently made a pleasant trip across northern Nevada to update Shorty’s book, and here is some of what we discovered along the way. 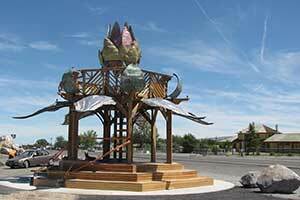 Two Burning Man art pieces and one locally created Desert Tortoise were unveiled on August 7 at the Main Street Park in Fernley as part of “Big Art for Small Towns”, a cooperative project of Black Rock Arts Foundation, the Burning Man Project and the City of Fernley. 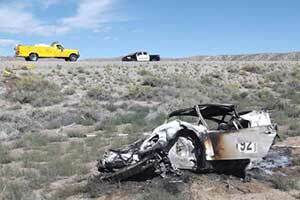 The Burning Man art pieces are temporary installations which will remain in place for a year. 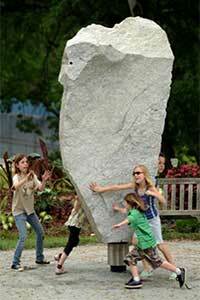 “Rockspinner 6” by Zach Coffin is a 9-ton stone slab that rotates effortlessly. “Bottlecap Gazebo”, by Max Pynton and Andrew Grinberg, was created from thousands of bottle caps smashed flat and wired together to make the great fanciful leaves that form the Gazebo’s roof. 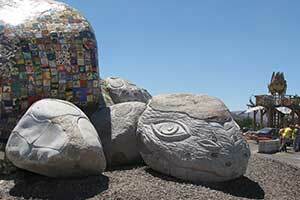 The Desert Tortoise is a 25-foot long, 17-foot-tall permanently installed boulder sculpture. It was created by Fernley artist Pan Pantoja, community members and students, and adorned with thousands of 4″x4″ painted ceramic tiles. Lovelock seems a counter intuitive choice when it comes to taking a break from the Interstate — you’ve either just left Reno or you’re about to arrive — but it is actually a rewarding stop if you do it properly. By which I mean, stop in at the Visitor Center in the old RR depot at the center of town (take the central freeway exit), and then amble north toward the Court House directly ahead. There’s shopping offered as you proceed north to Temptations across the street from the landmark structure (local joke: “My wife and I got divorced in that court house and we’re still going around in circles!”). Slip inside, and migrate to the ice cream shop within (there’s a bar too, and Jelly Bellies) where you can get a ’50s-style chocolate malt made with chocolate ice cream. You can buy a lock there if you choose to lock your love in the little park behind the court house. And if you’re hungry by now you can choose between the Cowpoke Cafe, La Casita and the C-Punch Casino (formerly Sturgeon’s), all good and all different. In Winnemucca we stuck to business and we picnicked. No big improvements or discoveries to report, but the corn maze at the Lazy P Adventure Farm is already high enough to get lost in (it opens Saturday October 4), and the pumpkins are fat and sassy. It’s a great source of family enjoyment every October weekend (+ November 1) and a nice addition to Winnemucca’s attractions. Battle Mountain was wrapping up after the World Human Powered Speed Challenge when we came peddling in. This may be the quietest World Championship on the planet, even less well-known than the Landsailing event we attended earlier on the Smith Creek playa. It is held on Nevada 305 just south of Battle Mountain, a long stretch of which is perfectly flat and perfectly straight and has been made perfectly smooth by a uniquely-engineered pavement laid down by NDOT. This stretch of Nevada highway is considered the finest speed bicycling track in the world and this year 22 cyclists from eight nations competed. Like landsailing there’s waiting around involved, but there are bleachers for spectators if you just can’t stay away. The relentless pace of development has relaxed a little in Elko, meaning for one thing that the housing supply is catching up with the mining expansion of recent years. Not so long ago some companies required job seekers to have a local address before they’d even accept an employment application. There are still three or four new hotels in various stages of planning, but only a few motels are still serving as extended stay facilities now. Traditional mining continues to be the foundation of the local economy, but some of the recent newcomers are members of fracking crews. Lt. 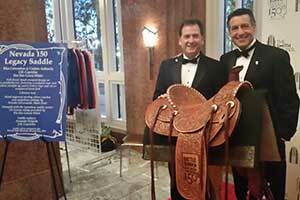 Governor Brian Krolicki and Governor Sandoval stand with the Nevada 150 Legacy Saddle made by Capriola’s in Elko and decorated with Mark Dahl’s silverwork. The Nevada 150 Legacy Saddle is a project for the NV150 celebration by JM Capriola’s, Dee Dee White Garcia and the Elko Convention and Visitors Authority. It has the 4-medallion series centered across the back of the saddle seat and one NV150 logo medallion centered on the saddle horn. 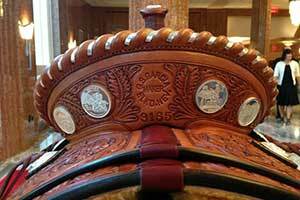 Centered between the four medallions is the GS Garcia leather stamp which was used on the original Garcia saddles. There is a lot of good info about Garcia’s 1904 World’s Fair saddle on Capriola’s website, and G.S. Garcia’s granddaughter, Dee Dee Garcia White made the stamp available to Capriola’s for this unique saddle. The saddle has a monetary value of $20,000 but this stamp makes it priceless. 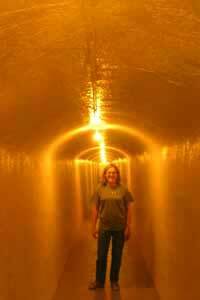 The silver work was designed and created by Nevada Silversmith Mark Dahl. We visited several other of the spectacular landmarks in the Park, including the brilliant Artist’s Palette and Mosaic Canyon, a beguiling hike behind Stovepipe Wells, and found ourselves at the elegant Furnace Creek Inn, about a mile south of the Ranch, at sundown. You can drive up to the front entrance, but it’s more fun to park at the foot of the drive and enter by way of the loooong tunnel that delivers you to the elevator. Up you go from there, into the enchantingly designed and appointed hotel with its urbane bar and dining room. We had cocktails — clink! 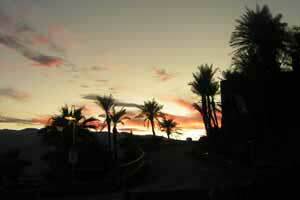 — as the sun set behind the Panamint range, far, far removed from the antagonism and ill will of sunrise. 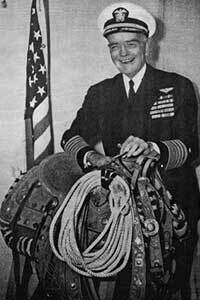 The Nevada State Museum in Carson City displays both the 1904 Garcia Saddle and the Halsey Saddle — made in Reno for Admiral Halsey to use while riding Hirohito’s white horse — and they were the inspiration for this “Legacy” project. The saddle will be displayed at events around Nevada for the next year, and at Capriola’s in Elko between times. On Nevada Day 2015, the 151st anniversary of Nevada statehood, the saddle will be presented to the Nevada State Museum in Carson City for permanent display. It’s been more than five years, but Wells is still coming to terms with the leveling of its earthquake-destroyed downtown. Not today’s ‘downtown’ spread along 6th Street, that dates from US 40, but the one that dates from 1869, a block north on the south side of Front Street facing the railroad tracks. 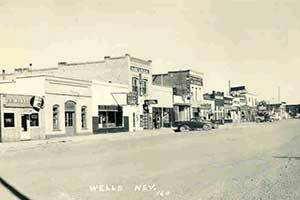 For about a century this was the busy business district of a large ranching and shipping center. Trains came through at all hours, and the night life continued until dawn. Now it is bare ground. That’s not the whole story in Wells of course, but the earthquake’s aftershocks aren’t all seismic in nature. The last remaining structure of the old Wells downtown. The bank building is now a private residence. feel right at home and help you find your way to the nearby attractions like Angel Lake and Metropolis. The Hotel Nevada was booked solid when we arrived in Ely, but we were able to rest our bones at the Prospector on the city’s fashionable east side. This was once a Holiday Inn, if that gives you an idea, but it has evolved since those days and is more flavorful now. Some of the Hotel Nevada’s aura followed Bert Woywood here; he was the managing partner responsible for the mountain lion poised to leap down from above the elevator in the lobby and other entertaining elements in the decor there. 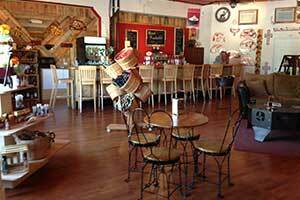 There are two big attractions at the Prospector: the restaurant, which is a locals’ favorite, and the entire wing devoted to travelers with pets. 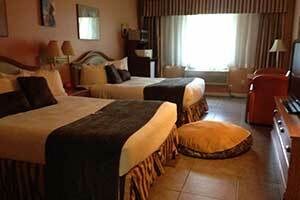 The spacious rooms have tile floors for easy clean-up, and there are comfortable pet beds as well as the regular kind. Ely was full of race cars and their crews, eager participants in the Silver State Challenge, — it’s called a road rally, not a race because the cars enter the 90-mile course one at a time and don’t compete against one another. With speeds past 170 mph, a moment’s distraction or indecision can be fatal, and a driver was killed (his navigator mercifully spared) near the finish line at Hiko. We also confirmed our opinion that Ridley’s Market is one of the all-around best grocery stores in the state (hint: always start at the bakery). Up until a few days ago the loudest talk from Eureka was about the sale of the Owl Club now in progress to Scooter and Eleny Mentaberry. They are purchasing the properties involved from the estate of Ron Carrion, Eleny’s late father, who made it a beacon for travelers along US 50. Not only that, but the Chevron Station across the street and the Sundown Motel next door to it have a new owner with plans to provide a new convenience store/market when Raine’s moves its grocery business to its new location up the hill a short distance out of town (construction not yet begun). We hear that the beloved Raine’s Market in the heart of town will continue as a Dry Goods Emporium selling blue jeans, bullets and other necessities after the new store opens. Construction has yet to begin, and destruction has yet to resume at the old Lincoln Hotel where all the licenses and permits are now in place to remove the old structure, or at least bring it down to ground level. 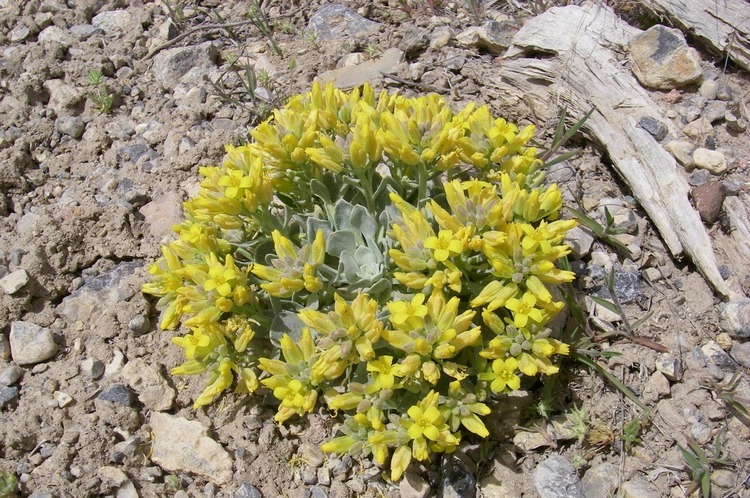 400 pot plants came up from the caverns and tunnels beneath the Eureka Cafe after a passerby smelled the skunky flora. As mentioned, the property transfers and new plans for the downtown dominated the local chatter until we left. The next day we read this dispatch from a local resident: “Not much criminal activity happens here, however police raided the closed Chinese restaurant across the street from me and found 400 marijuana plants! Apparently, someone was growing in the tunnels that connected to the basement. The deputies and DEA are loading grow lamps onto a trailer while the power company figures their stuff out. They eventually filled the trailer with lamps. Stan Paher’s new book is going to the printer in a few days, and to the surprise of all, the word Sesquicentennial doesn’t appear in the title — which presumably extends the life of the book past 2014. It also acknowledges the book’s impressive content, which extends beyond the 150 years of statehood to say something about our state’s unique character, and why we love living here. The book will contain 232 oversize (9″x12″) pages in full color, about 300 pictures, and 65 sections on different aspects of the state. 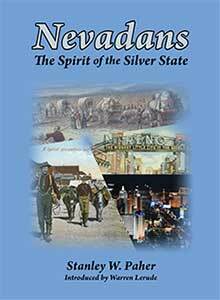 The price is $39.95, and you can order a copy here, to be delivered when they arrive from the printer, just in time for Nevada Day. Brief Notes from hither and yon — The march of civilization: Elko has a Starbuck’s now, in the Red Lion on the east side of town, so you can have an espresso there, downtown at Cowboy Joe’s on Yuppie Row, or at the BookStore in between (in Battle Mountain it’s Latte Dot Com) . . . The Western Folklife Center in Elko has a bright new website, not as beautiful as their original site, which was a work of art in itself, but extremely informative and inclusive . . . And Pioche is also more fully represented on the web with this comprehensive new site detailing the events and attractions in this tough old city of southeastern Nevada . . . 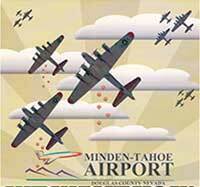 The old Wendover Air Base is being prepared for a new round of junket flights bringing in gamblers from cities around the USA. The flights, sponsored by the Wendover Peppermill, are expected to begin in January . 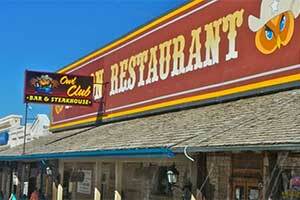 . . There’s a new coat of paint on the Ormsby House in Carson City, will it be re-opening soon? Burning Man Art: Burning Inquiry is a celebration of University of Nevada faculty’s interdisciplinary research and investigation into the phenomenon of Burning Man. October 1 . . . 17th Annual Fall Fest Craft Fair will be held October 3-4 at the Reno-Sparks Indian Colony gymnasium . . . In Virginia City the recent Wild Horse Faire held at the Silverland Inn & Suites raised over $25,000 which will go to feeding the horses. Plans are already underway for another one next year: Saturday, August 22, 2015 . . . The annual Grape Stomp Festival will be held in Pahrump Saturday October 4 at 11 am through Sunday October 5 at 5 pm . . . This Rhyolite Mercantile structure had just been moved back to Rhyolite from Beatty when it was struck by lightning and burned to the ground. 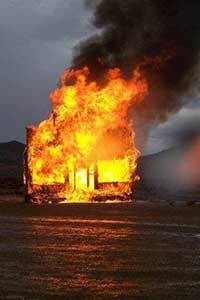 Mark Holloway happened to be nearby and captured the fire on film. More photos here. In Sparks the NV150 Western Heritage Festival starts at the Sparks Museum on B Street at 6pm, continues on Saturday with an opening ceremony at 10:30 am hosted by McAvoy Layne as Mark Twain and continuing with entertainers on the sidewalk outside Cantina Los Tres Hombres and the Great Basin Brewery from noon until 5. Sourdough Slim is on the bill, putting two of my faves, Sourdough Slim and McAvoy Layne on the same bill for the first time ever! Of course I will be there . . . Due Sorella 2nd Annual Vintage Fall Harvest Faire from 9 am to 4 pm at the corner of Musser and Nevada Streets in Carson City, Saturday October 4 . . . The Elko Band Powwow will be held at the Elko Colony gymnasium October 10-12. All drums and dancers are welcome, the public is invited and admission is free . . .
Is Virginia City the most fun-loving town in America? On Saturday October 11, 1-9 pm you can run from a zombie, or be one during “Redrun II, A Zombie Sequel“. The course covers six miles through a series of ‘dead zones’ and obstacles as zombies chase the runners through century-old train tunnels, haunted buildings, a railroad graveyard and more. After the race, the Zombie Manifestival after-party makes zombies rise from the dead, register for it here . . . In Carson City the Chamber of Commerce has purchased the Visitors Bureau share of the building next to the Railroad Museum which both agencies have inhabited jointly since 1989. The Visitors Bureau now occupies a suite of offices at 716 N. Carson Street, just north of the State Museum, on the southwest corner of Carson and Washington Streets. 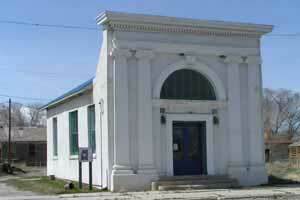 The Chamber will remain at 1900 S. Carson Street . . .
Renner Farm, on State Route 208 in Smith (Lyon County) celebrates Nevada 150 with a Nevada-shaped maze and stations depicting areas of Nevada and its mining, agriculture and gaming heritage. Open 1-9 pm through Veterans Day. Visitors are welcome to tour the farm and visit with the third, fourth and fifth generations of the family operation. More information here or 775-771-1852 . . .
form: call 775-782-9871, or stop by. Gates open for spectators at 10 am, admission is $10 per carload. . . . Terrain racing October 11 at Boulder City’s Bootleg Canyon, trail head at 1000 Yucca Street, $10 cash parking fee per vehicle . . . Cheech & Chong with WAR at John Ascuaga’s Nugget in Sparks, October 11, 8 pm . . . The Laughlin International Film Festival begins with Red Carpet Arrivals on Thursday October 16 and ends with a Closing Evening Film & after-party on Sunday October 19, with screenings, workshops and more parties in between. . . .
On Thursday October 18th in Carson City the annual Ghost Walk tours depart from the corner of Third and Curry Streets starting at 10 am, last one at 2:30. 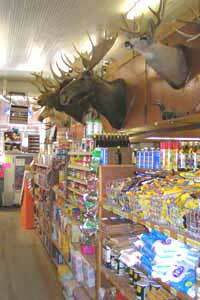 You’ll learn about lingering spirits of the past centuries and meet characters along the tour. 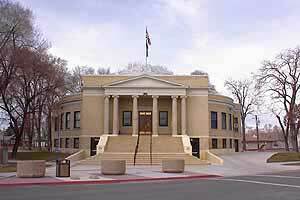 It’s an enjoyable way to experience Carson City’s Victorian Era and diverse history . . . Elko Silver Stage Players present The Last U.S. Stage Robbery: A Mellerdrammer of Truth & Fiction at the Great Basin College theater October 23-25 . . . The Nevada Northern Railway’s Halloween Train runs October 4, 11, 18, and 25 – at 7 pm. And now we get to one of the biggest days of the year: Nevada Day, with parades on October 31 at Elko, Las Vegas and Virginia City, followed by the Big One in Carson City on Saturday November 1 . . . Also on October 31st: Silver City 150 Art Exhibit in historic Silver City, the Steampunk Ball in Carson City at 7 pm, and the Lattin Farms Nevada Day Fall Festival & Corn Maze in Fallon all day . . . Halloween on the Comstock . . . The 23rd Annual Southern Paiute Veterans Powwow will be held November 1-2 in Moapa . . .
Steven Saylor will go down in history as a brilliant satirist. His “Nine Cheers for Backroom Deals” (as it has been retitled here on the Comstock) shows some of Nevada’s most notable men paying homage to the “mining men” who are destroying the Virginia City National Historic Landmark. 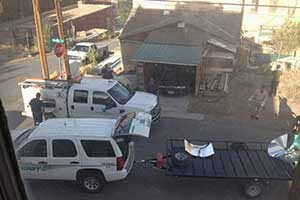 How they were persuaded to do it is a mystery, but Saylor’s message is clear and those who have excoriated him for sucking up to the corporation intent on destroying Gold Hill and Silver City along with the Historic Landmark need to look a bit closer. Saylor portrays former Governor and US Senator Richard Bryan, a board member of Preserve Nevada, offering a champagne toast to a laughing CMI Board Chairman and majority stockholder John V. Winfield. CMI’s slyly smiling CEO Corrado De Gasperis is shown dictating to Governor Sandoval, who is eagerly writing down every word. In the background Ron James is depicted as a butler refilling Dean Heller’s champagne glass. The grinning Dawn Gibbons and Dema Guinn are set off to the side like doo-wop singers and congressman Mark Amodei is reading the want ads. Get your copy while they last! Not only will you acquire a uniquely hilarious piece of Nevada flapdoodle, you’ll be assisting CMI in carrying out its avowed mission. But hurry, the price of gold is fluttering downward and the company’s stock is at a new low. Over the last 17 quarters it has spent more than $200 million of stockholders’ money without showing a single dime in profits. My only questions: what were these men and women thinking? How did Steven persuade them to cooperate? By posing at Saylor’s direction in a convivial carouse with the destroyers of the Comstock, they have confirmed a citizen’s worst fears. Thank you Steven Saylor! This is indeed your masterpiece.